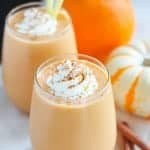 Healthy Pumpkin Smoothie – This protein packed pumpkin smoothie tastes like you’re drinking pumpkin pie! Made with pumpkin puree and cinnamon, and sweetened with maple syrup, this healthy smoothie is loaded with flavor. 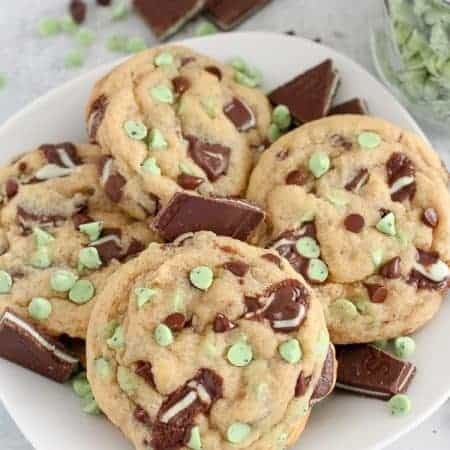 If you’re anything like me, you’ve spent the last few days indulging in Halloween candy – picking through your kids’ trick or treat goodies or raiding the extra candy that wasn’t given away (I might have hoarded the peanut M&M’s). But now I need to hit the reset button. 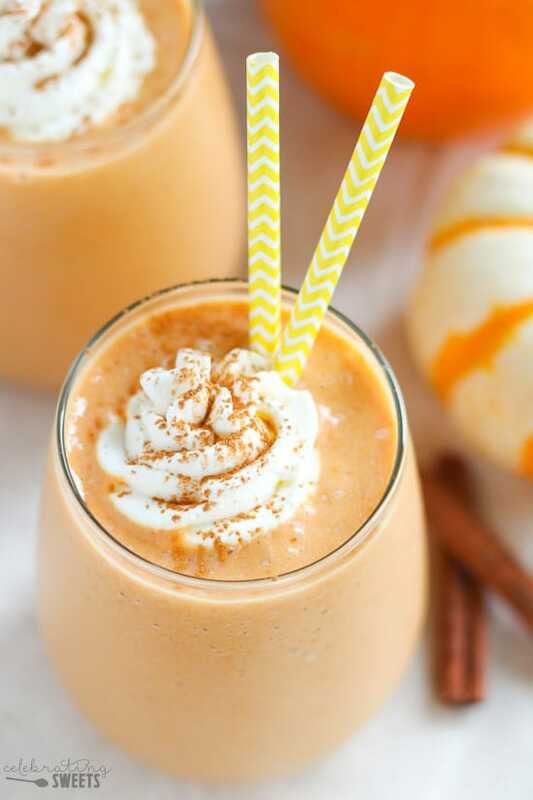 Let’s take a break from candy bars and sip on a smoothie that tastes like pumpkin pie! I figure if we’re going to transition from candy to a smoothie, that smoothie should at least taste like pie. Don’t ya think? Although this smoothie tastes similar to pumpkin pie, it’s surprisingly healthy! 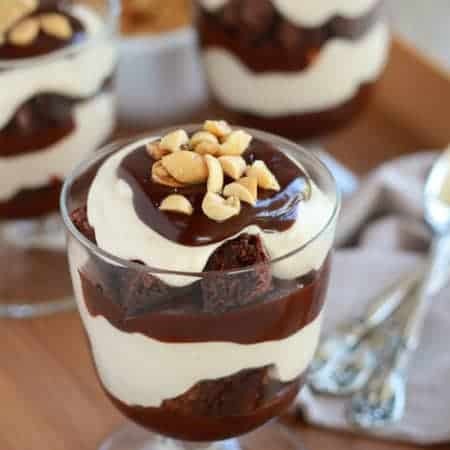 It’s packed with protein from skim milk and protein powder. It’s flavored with pumpkin and cinnamon and sweetened with pure maple syrup. A frozen banana and ice make it thick and creamy. I topped my smoothie with a little dollop of whipped cream just to make it that much more pumpkin pie-like, but if you want to cut the calories down even more, feel free to leave it off. 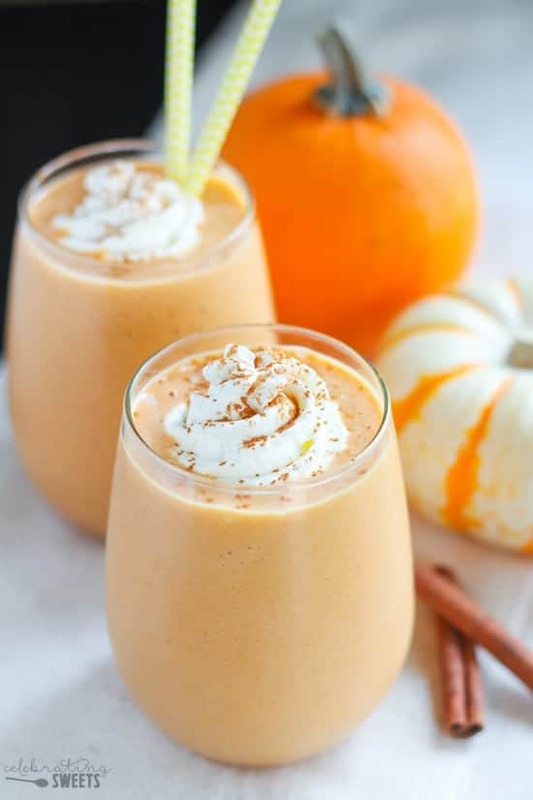 This protein packed pumpkin smoothie tastes like you're drinking pumpkin pie! Made with pumpkin puree and cinnamon, and sweetened with maple syrup, this healthy smoothie is loaded with flavor. 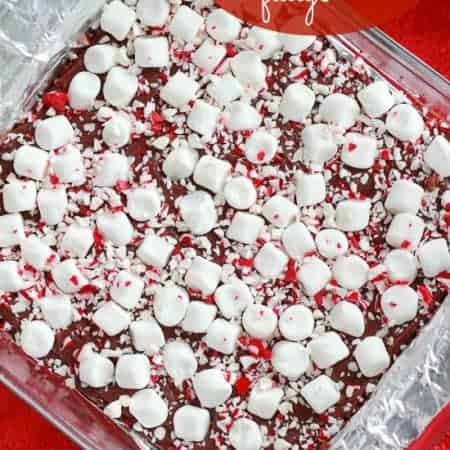 Place all ingredients except whipped cream in a blender and process until smooth. Serve immediately with a dollop of whipped cream and a sprinkling of cinnamon. This smoothie sounds delicious! and packed with nutrition. I want one now. Do I have to wait until fall? I love all things pumpkin!